The batches may be small, but the flavor is HUGE! 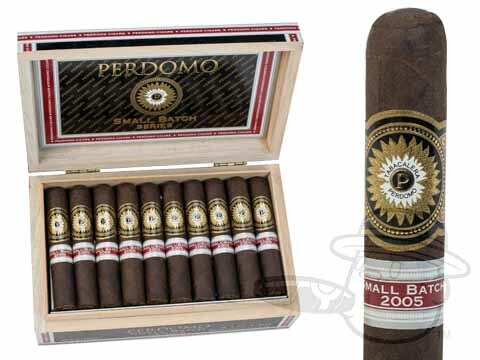 Nick Perdomos Perdomo Small Batch Series features a carefully selected blend of 10-year-aged tobaccos that will introduce you to a whole new dimension of smooth and savory flavor. 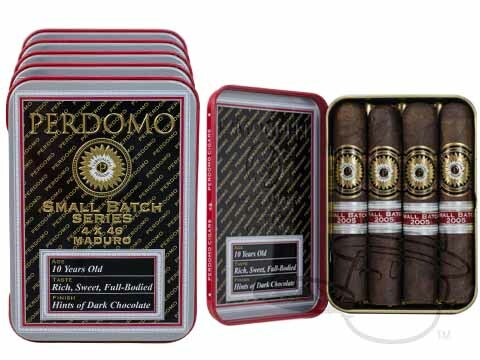 The Small Batch Maduro blend unites a chocolatey Nicaraguan maduro wrapper leaf with a hearty yet refined Nicaraguan binder and the finest of full-bodied Nicaraguan long-fillers. Boasting bold and balanced tasting notes of white pepper, earth, and smoky leather before a lasting finish, these dark treats will have you lighting one after another - they’re just....that....good! 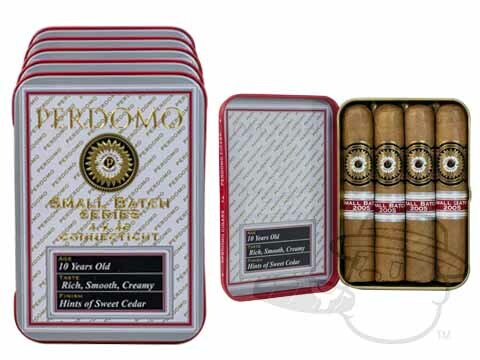 The Small Batch Connecticut showcases a gorgeously golden-hued Ecuadorian Connecticut wrapper leaf over well-aged Nicaraguan filler and binder leaves. A mellow-to-medium body provides the perfect backdrop for you to enjoy its parade of refined tasting notes with elements of sweet spice, rich tobacco, subtle vanilla, and burnt caramel with a long and lingering finish. Delicious!